OS grid reference SD 6500 3504. The pretty village of Ribchester, in the Ribble Valley, stands beside the banks of the river Ribble, 6 miles to the north-west of Blackburn. 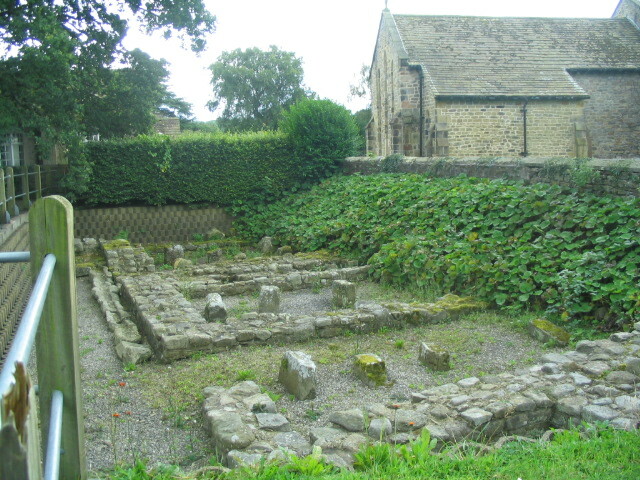 Ribchester’s Roman remains (the exca-vated granaries block) can be seen behind the Roman Museum, just off Church Street. The name Ribchester means ‘fort beside the Ribble’; and the Roman name for the fort is Bremetennacum Veteranorum. Roman granaries block at Ribchester. The first infantry fort was built in 72-73 AD by the XXth legion from timber and turf, but in c120 AD the southern defenses of the fort were strengthened, then in the late 2nd century AD a stone fort was built within the original structure and garrisoned by cavalry. It was finally abandoned in the late 4th century AD. The fort would have had a garrison of up to 500 auxiliary soldiers. The foundations of the stone fort, including remains of the granaries and defenses are located at the back of the museum, while some earthworks can still be made-out behind the parish church and at the south-east side of the church in a field beside a footpath. 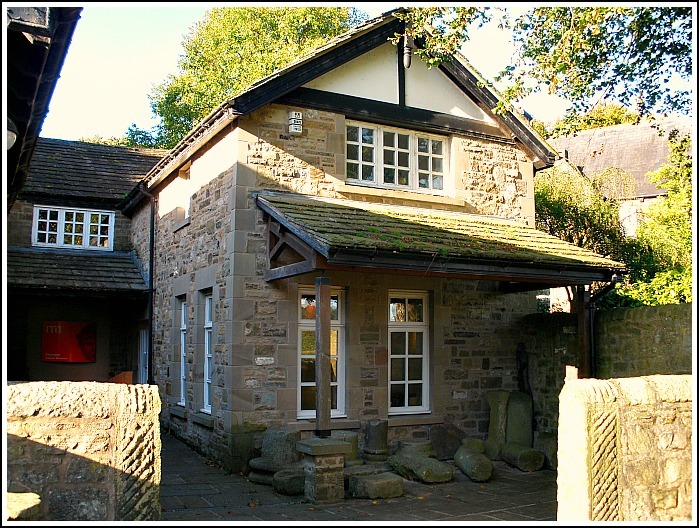 Ribchester Roman museum, dating from 1914, has a replica of a decorated parade helmet, two Celtic stone-heads and many other interesting artefacts, including other finds from the Ribchester hoard discovered in 1796. 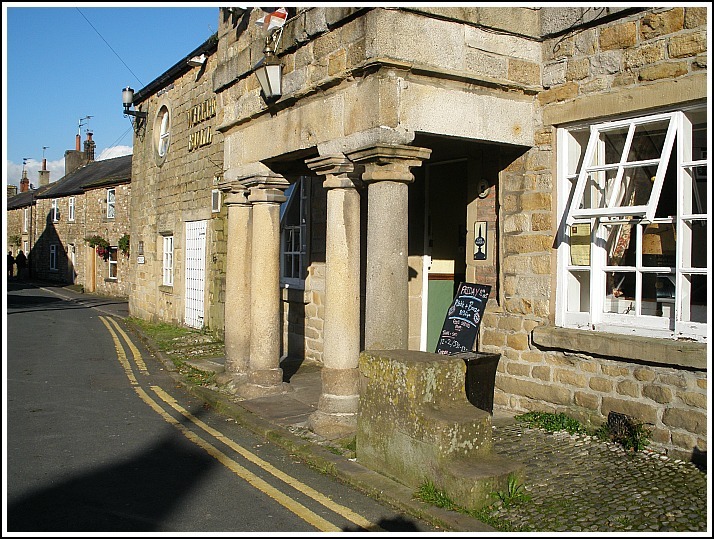 At the back of the White Bull public house in Church Street, at the east-side of the village, are the remains of the Roman bath-house and, at least two of the stone columns (out of the four) that support the porch of the White Bull Inn, are thought to have come from the Roman fort – the other two are probably replicas. More than likely the columns came from the bath-house. Categories: Roman Sites | Tags: Ribchester Roman Fort in Lancashire | Permalink. Hi Ray, The Roman altar was found when digging the foundations for the tower at Whalley church. What is it doing in St Wilfrids, Ribchester ?